Engagements are always memorable. But of course, there are those who just like to take things a notch higher by choosing peculiar locations and situations for this particular milestone. 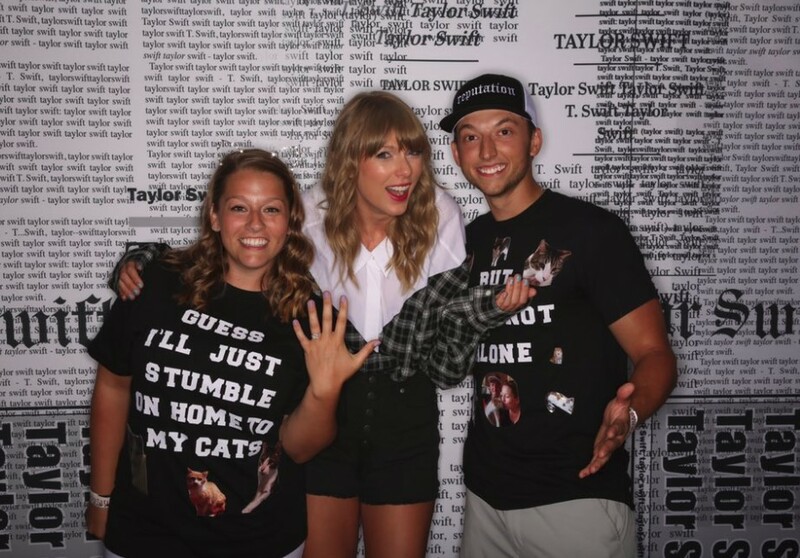 Such is the case of this huge Taylor Swift fan who thought it would be a great idea to propose to his girlfriend, also a fan of the popstar, during a meet and greet at a Philadephia leg of Reputation tour. Of course, his girlfriend (who gave him a sweet “yes”, eventually) was shocked when he get down on his knee and proposed. But here’s the twist: Taylor Swift was surprised, too! In fact, the photos taken during and after the proposal are so priceless that even Taylor posted one on her Instagram page. She also called herself the “third wheel” in her same post. Apparently, the said couple met each other at the Red Tour five years ago. The guy, who was identified as Anthony, had already been planning the crazy proposal for over a month. He even tweeted about his plans anonymously! According to a report, he had tried tagging Taylor in some of his tweets, trying to get her attention. However, on Friday, he announced that they were actually picked randomly for the meet and greet with her. After the proposal, Anthony posted a tweet about what Taylor told them.